In this pAsuram, mAmunigaL is following AzhwAr’s pAsurams of highlighting the defects of worldly wealth etc in having inferior and impermanent nature, and is mercifully explaining it. How is that done? AzhwAr who became joyous on enjoying bhagavAn as said previously in thiruvAimozhi 3.10.1 “sIr paravap peRRa nAn” (I who got to praise emperumAn‘s qualities), due to that joy, looking at those who are immersed in worldly pleasures etc instead of bhagavAn, again, considering that they are immersed in them due to not knowing their inferior and impermanent nature, instructs them about their defects in detail and instructs them to surrender unto the divine feet of SrIman nArAyaNa, in thiruvAimozhi 4.1 “oru nAyagamAy“; mAmunigaL mercifully explains the essence of this decad starting with “oru nAyagamAy“. AzhwAr analysed and explained principles such as a) the pleasure which is enjoyed being the single lord for this whole world will not remain permanently, b) the pleasure which is enjoyed in the vast heaven by dhEvas will not remain permanently, c) self-enjoyment which is eternal, is bad and d) servitude towards bhagavAn is enjoyable. oru nAyagamAy … – mAmunigaL says “ulagukku – oru nAyagamAy – uykkum inbamum, vAnOr iru nAttil ERi uykkum inbamum thiramAgAdhu“. mAmunigaL is thinking about AzhwAr‘s words “oru nAyagamAy Oda ulagudan ANdavar” (Being the single lord, one who ruled the world) [1st pAsuram]. Being the emperor, as said in SrI rAmAyaNam ayOdhyA kANdam 2.7 “pANdurasyAthapathrasya” (of white umbrella), even the pleasure acquired if one rules everything under one umbrella, will be impermanent as highlighted in “enaiththORugangaLum ivvulagANdu kazhindhavar” (even those who ruled for a long period, perished) [4th pAsuram], “vAzhndhArgaL vAzhndhE niRpar enbadhillai” (those who lived gloriously, will not continue to do so forever) [6th pAsuram]. vAnOr irunAttil ERi ukkum inbam – The abode of dhEvas which is distinguished compared to the earthly pleasures, and the pleasures in there. thiramAgA – not permanent. As said in “thE tham bhukthvA svarga lOkam viSAlam kshINE puNyE marthya lOkam viSanthi” (enjoys in vast heaven based on his puNya (virtues), and returns to earth after exhausting the puNya). Following the words of AzhwAr in “kudi mannum in suvargam eydhiyum mILvargaL” (Even if they attained the svarga which is having very enjoyable, seemingly permanent settlements, they will return) [9th pAsuram]. iru nAttil … – Even if they attained due to virtuous acts, it will not remain permanent. This is a sample for what is mentioned in SrI bhagavath gIthA 8.16 “AbrahmabhuvanAllOkA: punarAvarthinO’rjuna” (Oh arjuna! All worlds upto brahma lOkam are subject to destruction). man uyirp pOgam thIdhu – As said in “iRugal iRappu” (mOksham ending in AthmA) [10th pAsuram], since this mOksham is in a restricted form, it is defective. man uyir bOgam means eternal self enjoyment which is unlike the previously explained pleasures which are impermanent; though this is permanent, in comparison with enjoying parabrahmam (bhagavAn), it is insignificant – hence it is called thIdhu. 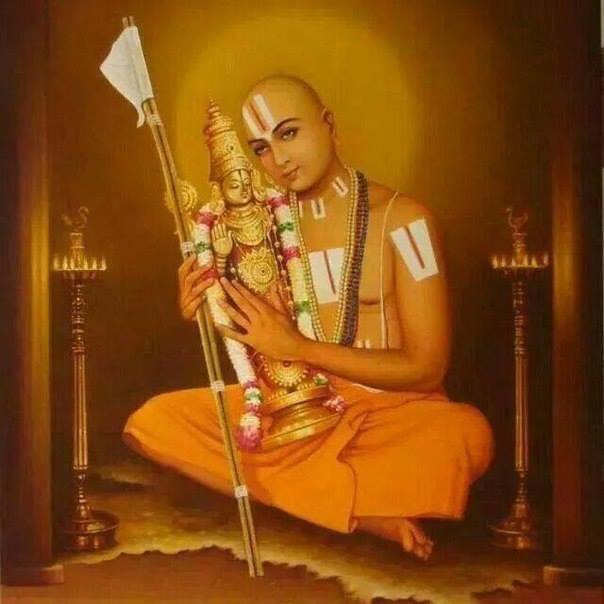 This entry was posted in Other, thiruvAimozhi nURRandhAdhi on January 19, 2019 by Sarathy Thothathri.